Don't miss our 2 guest instructors this month: Edmonton's own expert Rick Wilson, and Straight Blast Gym's BJJ black-belt Ray Price from Reno, Nevada. Plus, check out our other June events. There are masters in your own backyard, and Rick Wilson is certainly one of them when it comes to self defense. Register in advance for Rick's knife defense seminar by contacting wilson@wpd-rc.com. Become a hard target for crime with our award-winning self defense seminar. Learn tactics that are functional, user-friendly, and effective under pressure. Sign up for the Hard Target Introduction program to take part in the seminar, plus 3 group classes. Youth and families welcome. Ray Price is a veteran law enforcement member, a self-defense expert with ISR Matrix, and a firearms expert. He refers to his BJJ as "sloth jits": a slow and low, offensive, tight and technical, heavy game. Ray favors perfect technique over strength and speed, as demonstrated in his thoughtful and qualitative instruction. Private lessons with Coach Ray are available upon request, as are single day purchases for the seminar. You DO NOT want to miss this opportunity to train with one of SBG’s best black belts! Tickets are available on Eventbrite. Introducing Our Summer Theme: Fight Club! Fight Club classes have historically been a student favourite, as well as the most effective way to take combative skills to a new level. Now we're introducing a Fight Club Summer, 2 months that are all about sparring, rolling, and throwing down. Training is SAFE & progressive, and ALL experience levels are welcome! A special seminar for weapons enthusiasts. Build your own replica nunchucks and then learn how to use them like Bruce Lee in our first Martial Arts & Crafts event! Cultivating deeper self-awareness and further practice in the Coming Home meditation. Memento Mori, latin for "Remember that you have to die" is a reminder of our mortality. This topic is all about becoming time aware, time-tracking, and life as precious practice. Beginning in June, new Ground Zero Defense module, for preventing the fight from going to the ground, and what to do if it does. Ongoing curriculum in stand-up, clinch, and ground. Plus, BJJ CompTeam with Coach Davy, for students interested in competing in tournaments. Kids learn functional self defense and MMA with Coach Kyla through play, games, and drills. Check out our calendar for monthly events, or contact us for the weekly class schedule. I have been training at the Real Self Defense Center for the past three months. I have learned a lot during this time, but most importantly I enjoy every minute I spend at the training center; the people are great, the training is realistic and fun, and there is no ego whatsoever. Thank you for giving me a chance to be a part of your training family. Check out our upcoming events in April. Plus, we've opened up registration for our BJJ Seminar in May with guest instructor Ray Price. Ray is a BJJ black belt and a highly sought after instructor and coach coming to us all the way from Reno, Nevada. 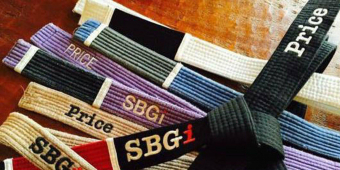 If you're looking to make some groundbreaking improvements in your BJJ game, you don't want to miss this one. Get a comprehensive intro to self defense, check out the topic of the next "All Things" seminar with Guest Coach Ryan of Untapped: Personal Training, and mark your calendars for a future seminar with Ray Price, BJJ Black Belt. We're also hosting a brand new ongoing Health & Wellness series. Start your Wise Warrior journey. Call us to schedule a free gym tour and class! Check our schedule to find your next Wise Warrior class or seminar. Please contact us before your first visit to set up a free class. Wise Warriors exist in Edmonton and all over the globe and there is much to learn and many who can teach you.